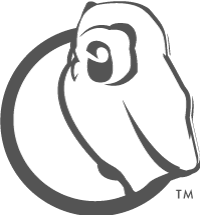 Data Ferry™ is a one way data transfer link which permits computers not connected to the Internet to send files over it. By keeping your working computer disconnected from the Internet it's files and programs are impervious to hacking. When you create a file or attachment you wish to send via the internet in the past you had to load it into a flash drive or other carrier and physically plug it into a different computer. 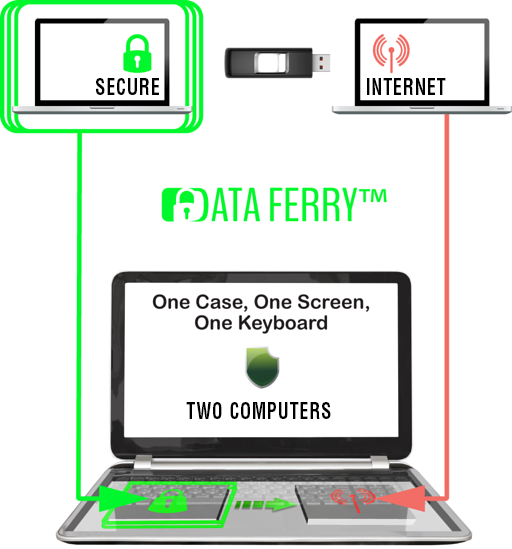 With Data Ferry™ all you have to do is load Data Ferry™ with the desired file and then instruct it to move over to the other computer you're using for Internet use all in the same case and using the same keypad and screen. The Data Ferry™ enabled computer system contains your working computer [secure because it's not connected to the Internet] and another computer which you use only for Internet use. Both computers use the same keypad and screen and can easily switch from using one to the other. Because your Internet, or browsing computer, contains no important files or programs you can run it without the expense of anti-virus or firewalls. When it becomes loaded down with spyware just erase it's code and start over. Because your working computer is never exposed to spyware or other unwanted code from the Internet it will never slow down and can run as fast as when it was new.